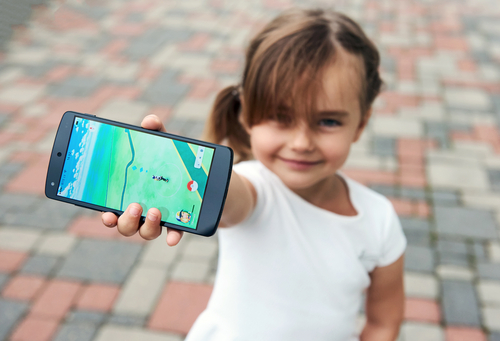 Should parents support using Pokemon Go by their children? It is a common situation nowadays to meet a group of people, which are staring at their smartphones and looking for something in the park or on the streets. You may see children, teenagers, adults and even whole families among them and you won’t be mistaken if you assume that they are Pokemon Go fans on a hunt. The game gets so much popularity around the world for a good reason: after simulator games like Minecraft or Sims, Pokemon Go is the first entertainment app that combines both imagination and the real world in a completely new way. When something captures the attention of so many young people the natural question arises: can this game be a resource for development and education apart from entertainment only? The children psychologist Craig Smith in his Autism Pedagogy Blog outlines several advantages and advices on playing Pokemon Go which can be followed by parents or teachers to develop the personal skills of their children. His tips are based on the theory of multiple bits of intelligence to provide a broad range of activities related to the game. Sometimes virtual games keep children inside the house for hours. Pokemon Go may force them to go outside and explore the world. Do it together to motivate your children to learn new places: the best way to start exploring the area is keeping a walking journal. Your kids will get much fun if you make it a part of the game: create the map with your tracks, highlight the destination and sketch the main places you’ve seen on your path. Some parents share their stories about how they turned the simple journey into a treasure hunting’ or a pirates’ adventure’ with the help of their fantasy. Just imagine that you had such game in your childhood: would it be nice to go out with your parents for a funny creatures-hunting? During hunting, you and your children will definitely meet the same players. Cooperate to create the team or just make friends with people playing with you. You may take a selfie together or strike up a conversation about your game experience. It will be also interesting for children to listen to some tips from experienced players and to show off’ their achievements. The Pokemon Professor is the expert on Pokemon hunting in the local area. Encourage your kid to become one of them! A child may play a role of a professor giving tips at the next Pokemon forums. He may discuss the types of Pokemon found in your area, the skills needed for the successful game, some personal tricks or creating tips-list. Experienced players may also teach new hunters which will develop verbal skills of the child. Use apps like iMovie to deliver the speech in front of the camera and practice making presentations with images or videos. Checking the number of candies you have and the number of candies you need to evolve your creatures helps children to calculate better. The reason is that in the game player has to choose which Pokemon he wants to improve, considering the fact that each Pokemon needs a different number of candies, and distribute his resources to play effectively. The children may draft the formulas in their Tag Journal, of course, younger kids will be happy to get help from their parents. Each Pokemon has its own natural habitat which is sometimes connected with its location in your local area even if it is urban. Researching the Pokemon habitats helps to build better strategy for searching Pokemon. Playing with your child helps him to observe the area and explore the habitat around you: becoming a great Pokemon trainer involves becoming a talented observer who is able to spot the PokeSpots and Pokemon according to their description. It will be a wonderful experience to spot a real living creature with a kid while playing the game. Sketch the animal or insect and try to find some likenesses between natural inhabitants and Pokemon found in the area. There are plenty of ideas, use them to make challenges in the social networks. Children will be inspired to see their photos getting likes and shares. Many Pokemon players share their amazement of how much they have missed in the architecture, history and culture of their local area until the game. Searching Pokemon may help your children to learn more about your neighborhood and local zones and share this experience through a blog or social networks with the help of photographs or videos. Encourage children to explore the PokeStops which are often sculptures, museums, and other historical places. You may be amazed by how much children learn during the game!